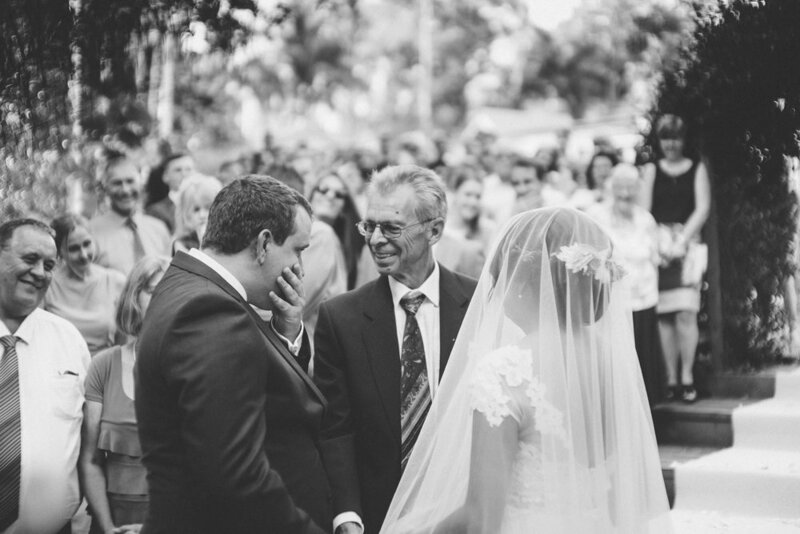 Three Years Married: Reflecting on our Wedding Day, and What We’ve Learned Since — Sunshine Coast Wedding Flowers - Gwen Floral Co.
Well, it's been three years since I married my cheeky, kind, supportive husband. I thought I’d write a blog post sharing a bit about our wedding day, and also some lessons we’ve learned (and continue to learn, because hey, no one is perfect!) along the way. 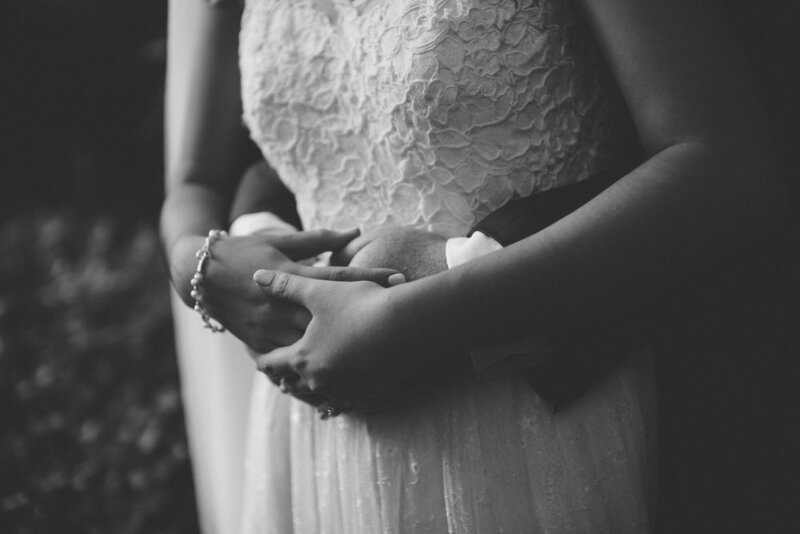 Our wedding day was captured by the incredible Maria + Al Tsudon from We Are The Tsudons. And no, I didn't actually do my own wedding flowers; I got Faye from The Bloom Collective to create some floral magic. At this time I was only dreaming about one day following my dream of floristry. I had done a few friends' wedding flowers, and decided I didn't want to put that stress on myself for my own day. Now that I'm far more experienced and confident I would definitely do my own flowers, but at the time I’m so glad we invested the money to pay someone to look after it for us. And she did such a gorgeous job! It's crazy how quickly wedding trends change. I'd like to think that our wedding was somewhat classic and won't age too much over time, though I have definitely noticed the trends shift even over the last couple of years. We wanted to go with a rustic boho meets classic elegance theme. One that says "we are super chilled and love a little organic wildness but it's also our wedding and a little bit fancy". 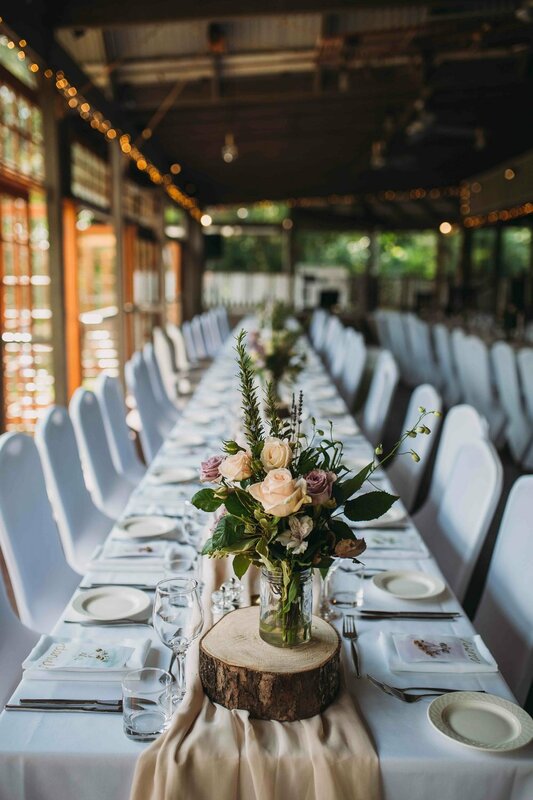 We got married at the sweetest venue Ecostudio Fellini in the Gold Coast Hinterland, which featured this gorgeous lilypond and a rustic building nestled amongst the trees. It was the perfect balance of wild and fancy! We decided not to have an official bridal party. Although I love bridal parties, we just felt it wasn't really us t the time. I had my best friend wear a pretty dress, even gave her a bouquet and she walked in front of me during the ceremony, but she sat down with the rest of the guests. We got our mothers to sign the paperwork, which was also really special. For our reception, we had long tables and we sat amongst all of the guests instead of having a separate bridal table. So we spent the reception with our parents and closest friends sitting around us. It was awesome! My most favourite part of our wedding day was our final dance. I call it the final dance, because we had our bridal dance right at the end of the night after the ‘party dancing’. We’d planned this purposefully, as the area where couples typically have their bridal dance at this venue is below the main reception area, and we thought it would be a nice way to finish the festivities by dancing in the garden, waving goodbye and walking off to begin our married life. The day itself was HOT, and during the reception it was pouring down rain for most of the night. By the time 9:30pm rolled around, there was a pleasant little drizzle, and when we asked our photographers if we should still dance outside/would they mind shooting in the rain, their response was ‘heck yes!’. So, we danced in the rain under festoon lights while our guests stood above watching. It was pretty much like a movie, just saying. So, marriage tips. I’m certainly not a marriage counsellor by ANY means, but there are definitely some things I’ve learned along the way. Prioritise date nights. Yes, life is expensive and sometimes we can let these luxuries slide. But even if finances are tight, be creative! Have a picnic by the water, bring your own food, and just spend a couple of hours chatting! Spend this time reflecting on memories, discussing your ‘now’, and dreaming about the future. Create space for ‘marriage maintenance’. When I say space, I don’t just mean physical space… Be intentional in creating time, and giving yourselves permission, to talk about some of the hard things. If you create a culture of graciously discussing these things (i.e ways you’ve been hurt, areas the other person could improve on, things that you are doing well or even acknowledging areas that you think you’ve fallen in even more the other person brings it up!) then you’ll be able to work through seemingly small things before they become really big issues. The last three years have been one heck of a ride. I did a career 180, started a business, we moved cities, my husband got a new job, we bought a house, welcomed two puppies into our family… Gosh, I feel exhausted just thinking about it! But it’s been the most joy-filled years of my life, and I thank God every day that I get to do life with my guy forever.